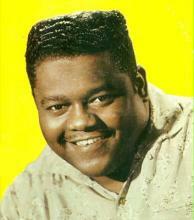 Fats Domino was Mark's #6 pick in dp09 for no points. Fats Domino was John's #3 pick in dp10 for no points. Fats Domino was John's #8 pick in dp11 for no points. Fats Domino was John's #9 pick in dp12 for no points. Fats Domino was Chad's #3 pick in dp17 for 11 points.